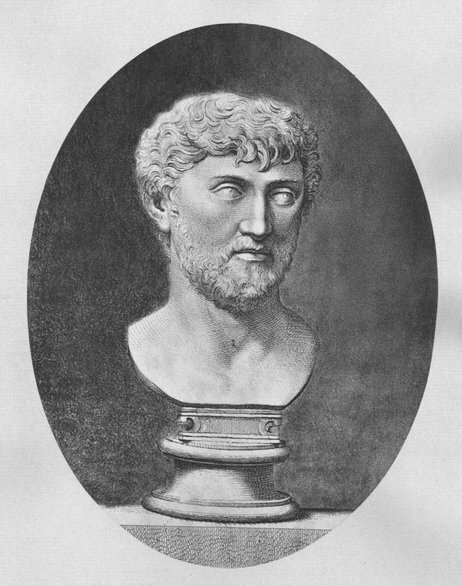 Titus Lucretius Carus (c. 99—55 BC) was a Roman poet and a follower of the Epicurean tradition. 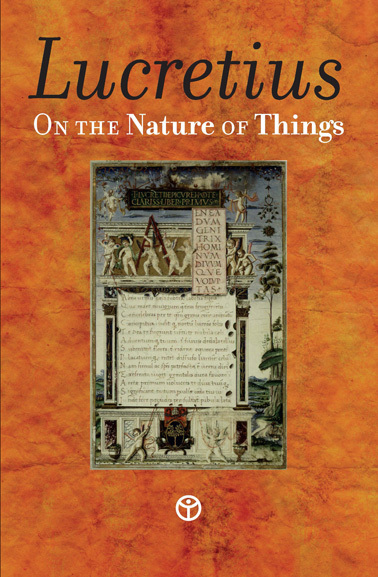 His major work, De rerum natura (“On the Nature of Things”), is held as a masterpiece of ancient poetry. This is a didactic poem that also provides a comprehensive view of Epicurus’ philosophy — the supposed structure of the Universe, the origin and evolution of the world, how life and civilization developed, and what the lot of humanity is in this world, created by chance and necessity in the blind dance of the atoms. The world of Epicurus does not need a divine creator, or any divine intervention. Lucretius argues that the gods exist, but that they have nothing to do with our world or the humanity. The philosophy is practically atheistic, and as such it was suppressed during the Middle Ages. From Epicurus’ own hand, only a few fragments and letters managed to survive the Middle Ages. Therefore, it was a major event when the humanist Poggio Bracciolini discovered Lucretius’ forgotten poem in a German monastery in 1417. For philosophers and intellectual innovators of the Renaissance, there were suddenly an original and sophisticated system as an alternative to the natural philosophy of Plato and Aristotle taught in scholastic Europe. De rerum natura was what may be described as a bible for the scientific revolution. The idea of atoms, the infinite universe and the plurality of worlds, and that mechanical cause and effect lies behind every natural phenomenon — all this was expressed here. Also, Galileo’s laws of motion are in their infancy in the poem; centuries before Christ, Epicurus and Lucretius already understood that an object in motion will continue to move forever, unless something intervene, and that a heavy object does not fall faster than a light one. De rerum natura is considered to provide a fairly unadulterated picture of the Epicurean philosophy, since the differences are insignificant when compared to Epicurus’ own fragments and letters. It is published here in a classic 1916 translation by the American poet William Ellery Leonard (1876–1944).